Kenny Dalsheimer | Director/Producer Kenny is an award-winning filmmaker, producer, and media educator based in Durham, North Carolina. He founded The Groove Productions in 1996 when he began producing documentaries and community video. His films, Go Fast, Turn Left: Voices from Orange Country Speedway (1997) and Shine On: Richard Trice and the Bull City Blues (2000), screened across North Carolina as part of the NC Humanities Council’s Road Scholars program. He co-directed and shot Bending Space: Georges Rousse and the Durham Project (2007) which screened at festivals around the world and aired across the southeast on PBS. His disability rights film, A New Kind of Listening (2009), received national recognition in 2010 from TASH as recipient of the Positive Images in Media Award. A Weaverly Path: The Tapestry Life of Silvia Heyden (2011) and Bending Sticks: The Sculpture of Patrick Dougherty (2012), offer immersive portraits of internationally recognized NC artists. His most recent film, Peace in Our Pockets (2016) celebrates the peacebuilding work of Kenyan activists in the lead up to Kenya's 2013 elections. Kenny received his M.A. in Anthropology from Duke University in 1985 and taught at Carolina Friends School between 1986–1996. Ashley Melzer | Producer Ashley Melzer is a producer and media-maker living in Durham, NC. Born in North Florida, she received her Bachelors in Cinematic Arts from the University of Southern California and then a Masters in Folklore from UNC-Chapel Hill. Her work has been featured in Indy Week, Wondering Sound, Paste Magazine, eMusic, The Carrboro Citizen, and the Southern Foodways Alliance. She’s served as Associate Producer of the NC Comedy Arts Festival, Associate Artistic Director of DSI Comedy Theater, and Marketing and Operations Manager of Innovate Raleigh. She currently serves as Multimedia Editor for the Southern Cultures Journal and is working one a new short documentary using archival footage from renowned folklorist Dr. William R Ferris. She is the founder of Mettlesome, a creative, project based collective, for which she performs, directs, writes and teaches comedy. Kelly Creedon | Editor Kelly Creedon is a documentary filmmaker and visual journalist whose work focuses on using intimate storytelling as a means to explore communities and the issues and questions that unite and divide us. Her short film work has been featured in Vimeo Staff Picks, National Geographic, the Los Angeles Times, The Atlantic, the Huffington Post, REEL SOUTH, the PBS Online Film Festival, and the Bitter Southerner, among others. Her editing credits include the feature-length documentary Farmsteaders (2018) and the documentary short Santuario (2018). She is the recipient of a 2018-2019 Artist Fellowship Award from the North Carolina Arts Council. 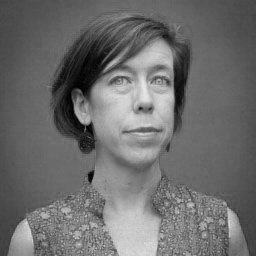 She has taught visual journalism and documentary storytelling at the Center for Documentary Studies at Duke University and the UNC Chapel Hill School of Media and Journalism, where she received her MA in Visual Communication. She is also a graduate of the Salt Institute for Documentary Studies. Heather cook is a former public school teacher turned community alchemist. Since moving to Durham over a decade ago, Heather has been deeply immersed in the creative community as an events producer, a creative consultant and a project manager. She is a cultivator of energies, bringing people together in the name of art and collaboration. She currently serves as Executive Director of NorthStar Church of the Arts. Warren Gentry | Cinematographer Over the past thirty-six years, Warren has had the pleasure and opportunity to act as Director of Photography on three regional Emmy award winning documentaries and several others that received prestigious awards. He has traveled to and worked in forty different states and over twenty-five countries on five continents. Warren has served as Director of Photography for UNC’s acclaimed “North Carolina’s World War II Experience”, as Director/Cinematographer on “Down Home: The North Carolina Jewish Experience” and as Director of Photography on UNC-TVs “Gold Fever and the Bechtler Mint”, as well as directing and photographing major projects for Duke University, NC. State University and the Governor’s Institute on Substance Abuse.